The floating calculator doesn’t have a big keyboard with many scientific functions on purpose. 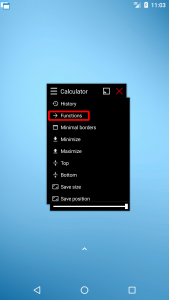 For floating windows, it’s better to keep thing simple and compact and provide advanced features on request. 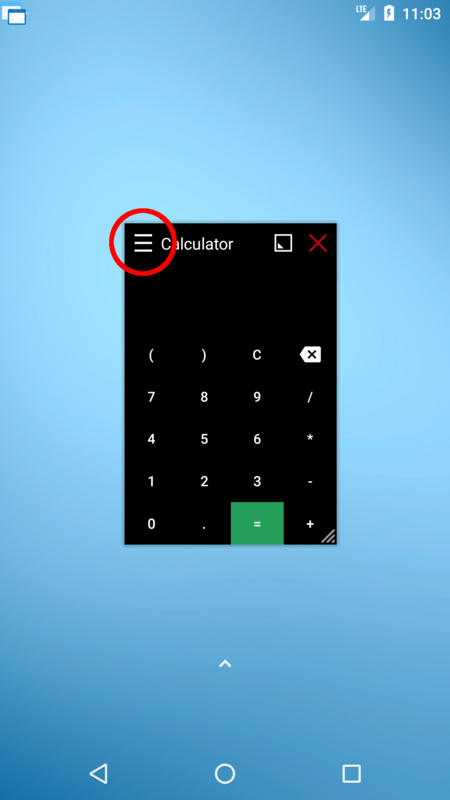 Also, the majority of users (including me) use the floating calculator for simple things like 8 * 9. Yes! 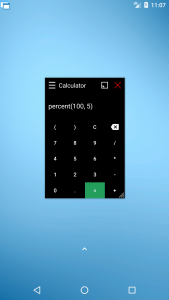 I’m not lazy to start the calculator and verify I don’t make a mistake in such a complex calculation :-). 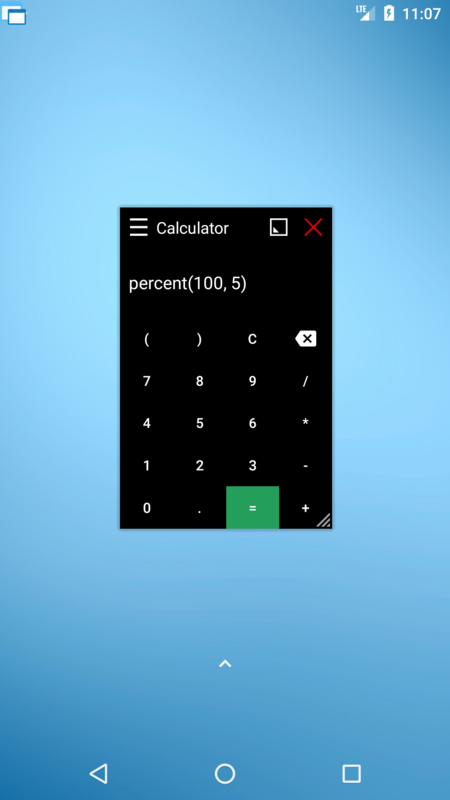 However, the floating calculator can do much more for you. Let’s see it in action! 1. Just open the window menu by taping the icon in the left top corner of the window. 2. 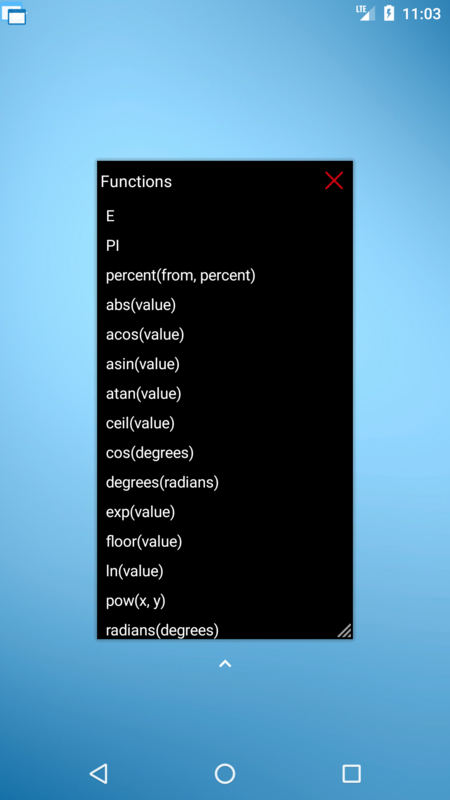 Tap Functions and a dialog with a list of available functions and constants popups. Tap the one you need to use. Let’s say that I’m going to count with percents. 3. It adds a function to our calculation so let’s finish the expression. 4. 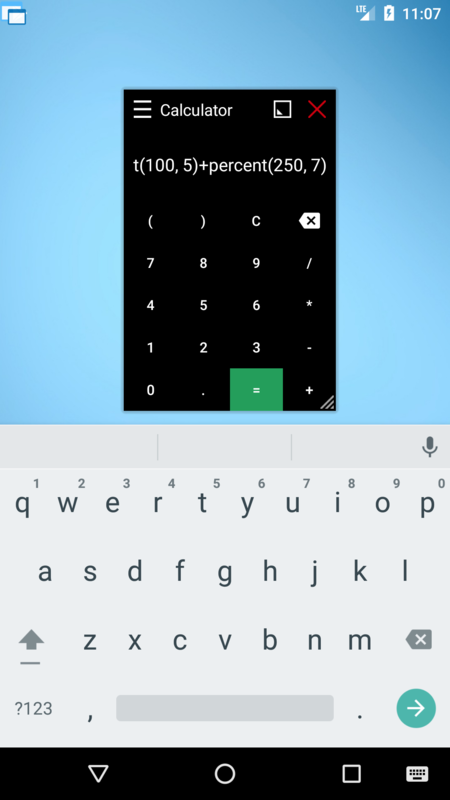 Before we get the results, let’s make it a bit more complicated because we can also combine functions, and we can even type them directly using the keyboard. 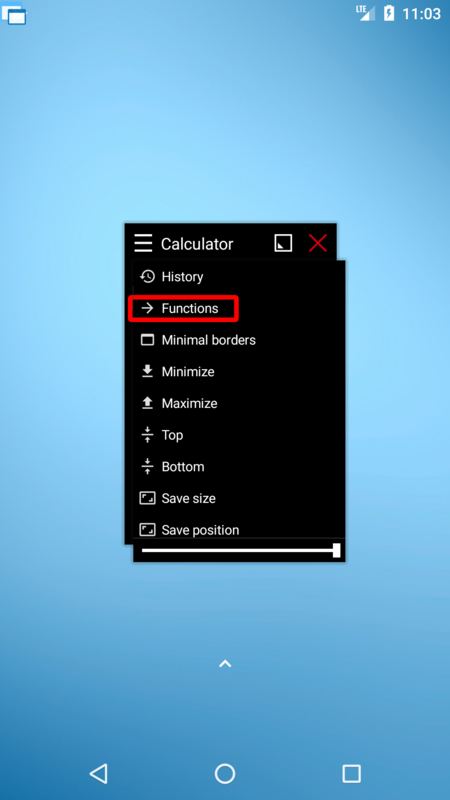 Just click the display field and type what you want. It’s like a simple programming :-). It’s sometimes even more useful than having dedicated keys on the keyboard. 5. Hit the equals key, and here we go… 5% from 100 plus 7% from 250 is 22.5! Did you know about this feature of the floating calculator before? Next: Next post: How to configure new Applications?